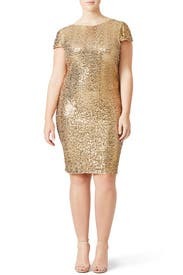 This body-skimming sequin sheath by Badgley Mischka will brighten your frame. Pair the shimmering look with basic pumps. Also available in green and 0-12. 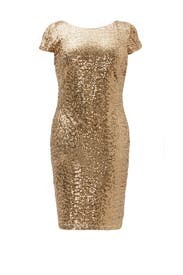 Gold sequins on mesh (100% Nylon). Cap sleeves. Boat neckline with cowl back detail. Fitted skirt. Hidden side zipper with hook-and-eye closure. Fully lined. 39” from shoulder to hemline. Imported. Walked into my work holiday party & everyone turned to look. 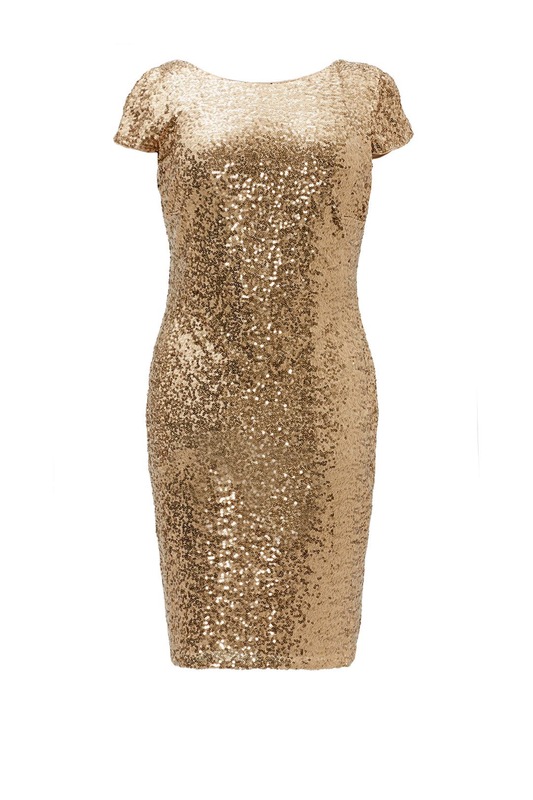 Life is short, why not wear sequins? 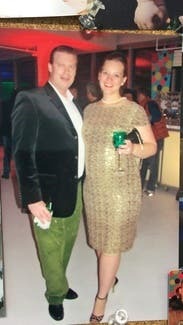 I was 6 months pregnant when I wore this and went up 2 sizes to accommodate the bump. The fabric is a bit stretchy so it worked. I wore it with a long pearl necklace down the back to accentuate the scoop back. I got a million complements. Would rent again.